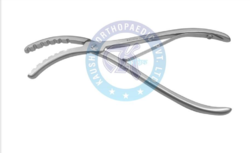 For the diverse requirements of the clients, we are engaged in offering a large gamut of Amputation Saw. We make use of technologically advanced tools and top-class raw materials in manufacturing these instruments. We offer our range with length 9" blade and in different specifications that meet each and every requirement of the clients. Clients can also take the benefit of timely delivery from us. With the help of our skilled and adroit professionals, we are engaged in manufacturing and exporting a large gamut of Burgman's Plaster Saw. We have developed and designed these saws by using high-class raw materials and advanced technologies. All the products offered by our company are registered and rigorously checked by our experienced and well-versed quality inspectors. These have 6' Length blade and have the chrome plated brass. 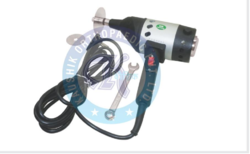 Our company is among the reputed and well known manufacturers and exporters of Heavy Handle Plaster Saw. These instruments are used in removing and cutting casts. These are equipped with the sharp teeth for self cleaning and faster cutting. By utilizing the top quality stainless steel, we have manufactured these saws in various specifications. 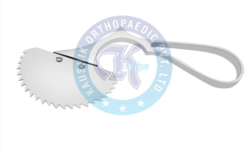 Moreover, our saws are easy to hold and use and have firm gripping. Our in-depth industry experience enables us to manufacture and export a large gamut of Daws Plaster Opener. These have 18" length, overall D.P.O, opening plaster casts and smooth edges. The firm teeth of these openers have secure grips on its acting casts’ edges. Its long liner arms make the removing of casts easier. Our range is fabricated using optimum quality raw materials and latest technologies. We are one of the renowned names in the industry, engaged in manufacturing and exporting an extensive range of Bohlers Plaster Bender. These benders have been precisely engineered for plaster rooms for opening the pre-cut plasters. Moreover, our range is acknowledged for its easy gripping, handling and convenient use. Clients can avail our range at most reasonable rates. 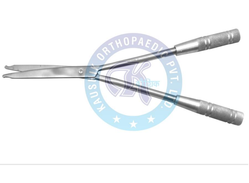 We are one of the leading manufacturers and exporters of Bandage Cutting Scissors. 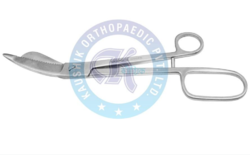 These scissors have been fabricated from top class stainless steel and advanced technology tools. Their smooth edges, convenient handling, and easier gripping make them more demanded and appreciated among the clients across the globe. These scissors have the tiny guard on the lower blades’ tip that let the blade to easily slip under bandages. We are one of the reckoned names in the industry, engaged in manufacturing and exporting a large array of Bohler Plaster Shears. 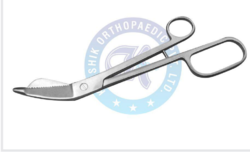 For the harmless and accurate cutting of small bandages, these shears are widely used in clinics and hospitals. We do not compromise with the quality for our own monetary benefits, therefore we make the use of world-class raw materials and cutting-edge technology tools. Looking for “Plaster Room Equipment”?